Ferguson protests have spread across America the last few days after the grand jury decision to not indict Officer Darren Wilson. We even saw protests here in New York City, with protestors blocking traffic on the Brooklyn Bridge and even spraying red paint on Police Commissioner Bill Bratton. Now, protestors have decided to protest Black Friday. 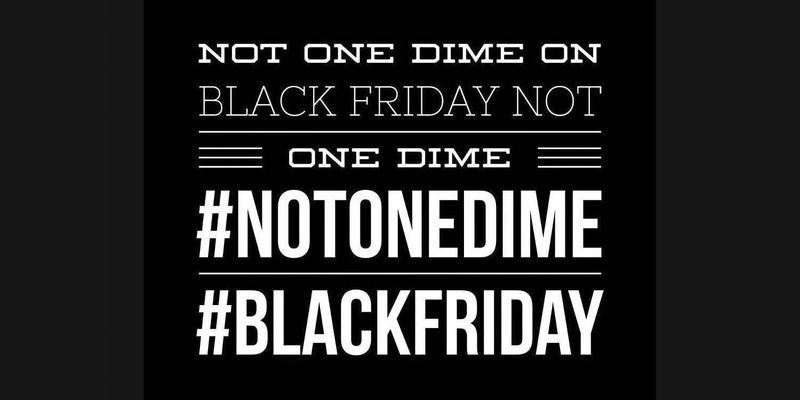 Online, #BlackOutBlackFriday and #NotOneDime trended to get the rally going. Blackout For Human Rights, the organization at the helm of the nationwide effort, is composed of a network of artists, activists, filmmakers and lawyers who fight to address inequalities and injustice in America. 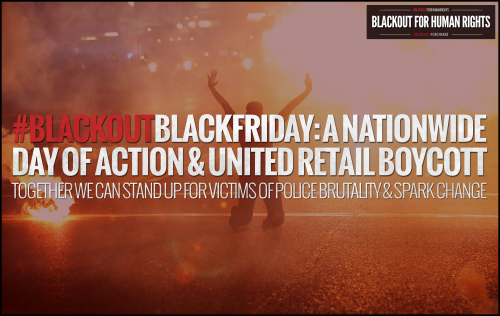 "In the wake of Ferguson, its become painfully clear that people of color, and black people in particular, are still unjustly targeted by law enforcement and the criminal justice system," reads a statement on BlackoutBlackFriday.org. 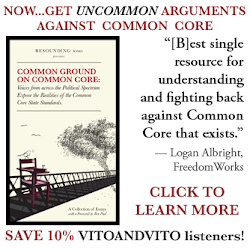 I support every United States citizens' right to protest peacefully, but I don't see the point in the Ferguson protests and boycotting Black Friday. "The US economy depends on our shopping, especially during the holiday season. But the lives of our brothers and sisters are worth more than the dollars we can save on holiday gifts," an activist organization says. "Together, we can make a historic stand against police brutality and spark change." Yes, holiday shopping helps the economy. But what in the world does this have to do with "police brutality" and racism? Boycotting a giant shopping day does nothing for "race equality." At least the lines at the mall will be shorter this year.